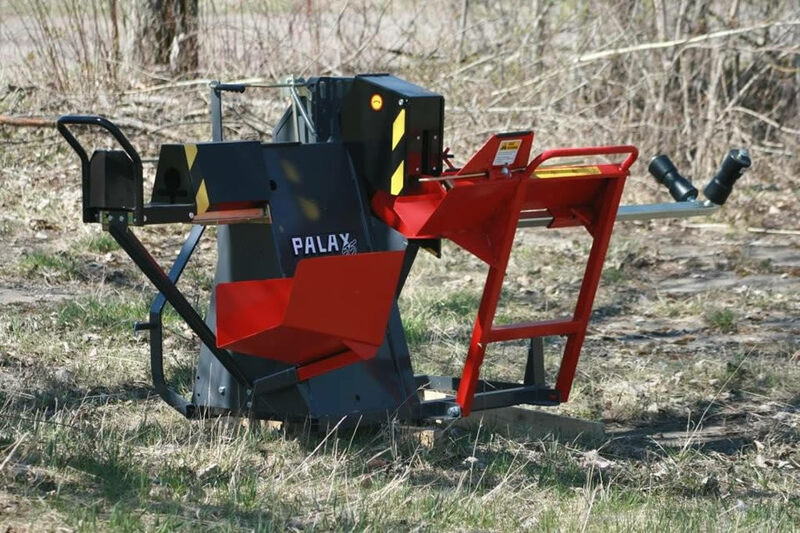 The Palax 55 circular saw / log splitter is available as a PTO tractor driven or as a self-contained unit with a 5.5 HP Honda gas engine. The unit is equipped with a silent and smoothly cutting hard-metal blade. The resulting cut surface is smooth and the hard-metal blade is exceptionally durable. 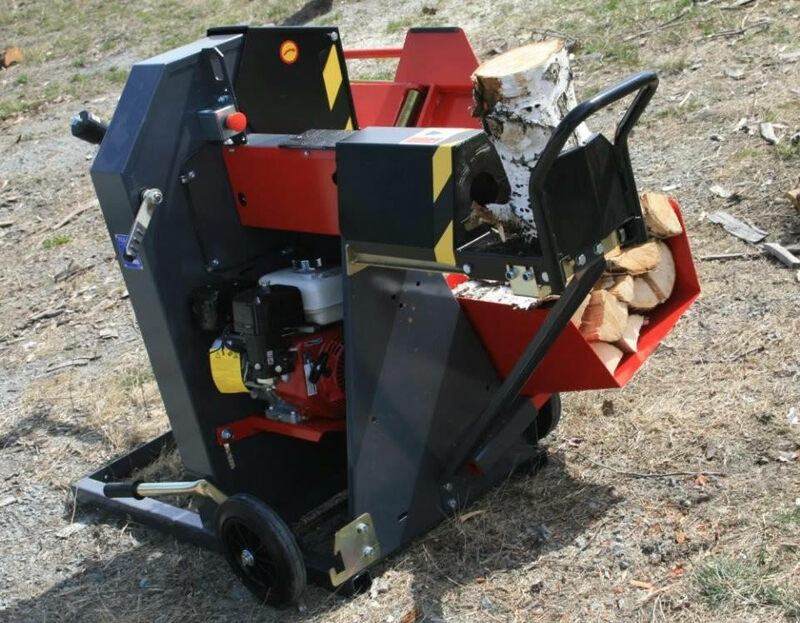 Cut up to 8" diameter logs. The grooved support rollers and the extension table with rollers makes the work easy and safe. Pile the cut-off logs into the metal chute before splitting the logs. 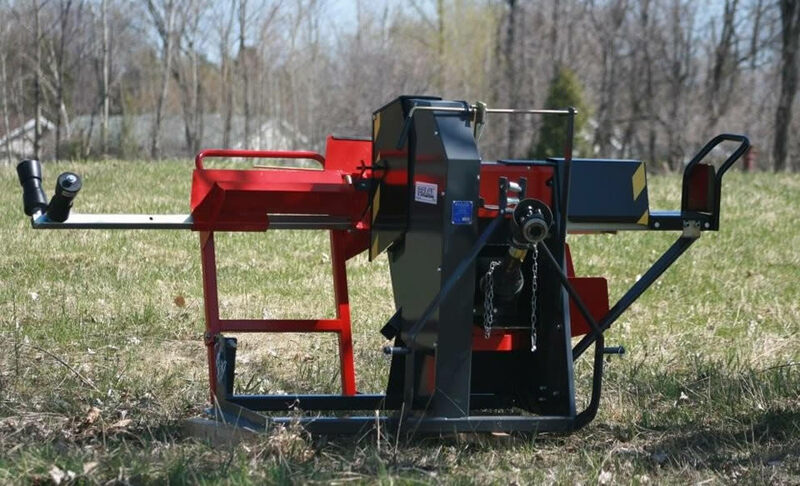 The slide for log splitting is extremely easy to handle and safe in operation. The double thread on the splitting screw / cone bites into even an icy log. The splitting screw / cone has a replaceable tip. 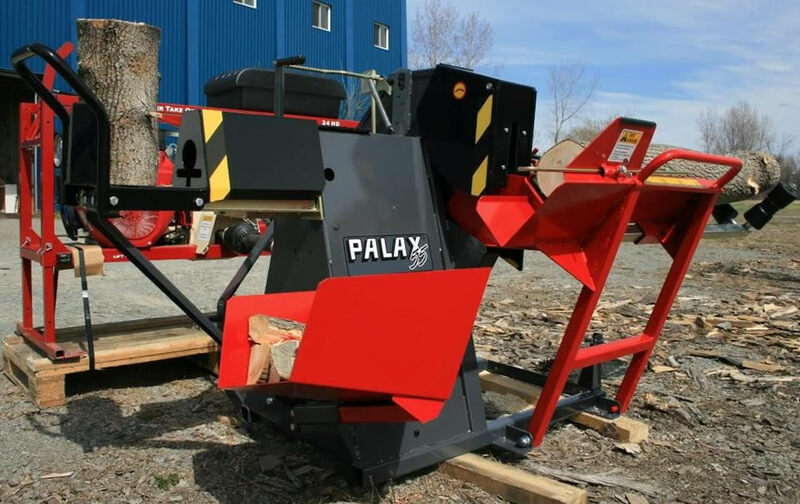 The Palax 55 is easy to handle and transport to the desired site. The PTO driven unit is equipped with a 3-point hitch and the gas engine unit is equipped with solid rubber tyres for easy moving. The gas engine unit is equipped with a clutch to enable loosening of the v-belts for start-up. This makes it easy to start the machine even in cold temperatures. Diameter of splitting screw: 60 mm / 2.36"
Max. diameter of log for cutting: 20 cm / 7.9"
Max. diameter of log for splitting: 25 cm / 9.8"